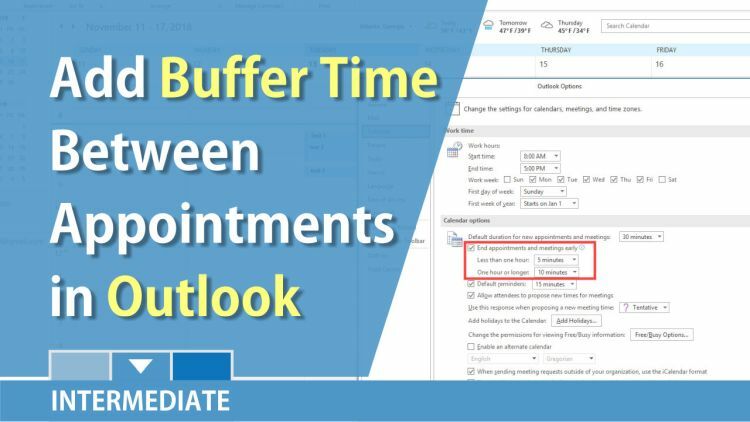 A new feature in Outlook 2016 with an Office 365 subscription allows you to add buffer time between appointments and meetings. This is an awesome new feature. You can use that time to check in with your team, get coffee, and answer critical emails. Delay delivery of all messages in Outlook by writing a simple rule. This rule will allow messages to be delayed between 1 and 120 minutes. Need to import your Excel file into Outlook People / Contacts? First, make your Excel file a CSV file. Next, make sure your data is correct. When you click Send on an email, it is typically sent immediately, but you can have it sent at a later time by using delayed delivery in Outlook. Do find yourself typing the same message over and over in Microsoft Outlook? You can use Quick Parts in Outlook to create canned responses to emails.